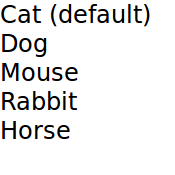 ObjectModel contains the visual items to be used in a view. 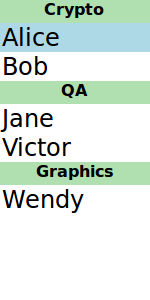 When an ObjectModel is used in a view, the view does not require a delegate because the ObjectModel already contains the visual delegate (items). Note: VisualItemModel can also be used, but it is only provided for compatibility reasons. VisualItemModel allows a QML item to be provided as a model. 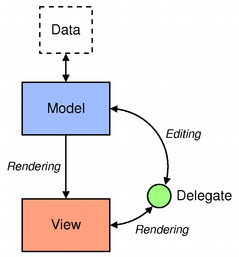 This model contains both the data and delegate; the child items of a VisualItemModel provide the contents of the delegate. The model does not provide any roles. The number of items created by a Repeater is held by its count property. It is not possible to set this property to determine the number of items to be created. Instead, as in the above example, we use an integer as the model. For more details, see the QML Data Models document.